SMS PEST to 41911 for more information on Pest Control Technologies and our services and we will get back to you. Rodent, Termite and Ant control is taking priority at the moment. Contact Pest Control Technologies for advise and a solution, from once-off knock down treatments to a monthly maintenance plan to assist you in getting your premises pest free. Every rand spent on pest control will, most likely return additional rands in reduced damage, harm to health and in food establishments, product losses. This fact quickly illustrates that managing pests is actually an investment and not expenditure! 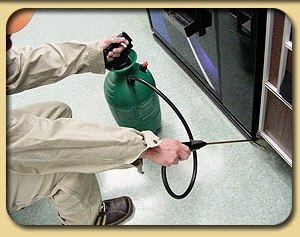 Most people spend a great deal of money and time on trying to clear their premises of Cockroaches or other pests, but without the correct plan, method and/or pesticide this will seem futile and some loose hope or give up. Pest Control Operators have spend time and money studying the life cycles of pests, pest control methods and safe use of pesticide, to make your life easier. Many pests also transmit disease. Cockroaches, flies, mosquitoes, ticks, fleas, rodents and birds are directly involved in the transmission of such diseases as food poisoning, malaria, typhus, viral encephalitis, plague and Lyme disease. Other pests bite or sting or cause allergic reactions in the indoor environment. Finally, pests living in and around buildings are objectionable to most people simply by their presence,detracting from the overall quality of life. The first step in insect or pest control is to know what pest you are dealing with.